Get your first order of MCT oil now! 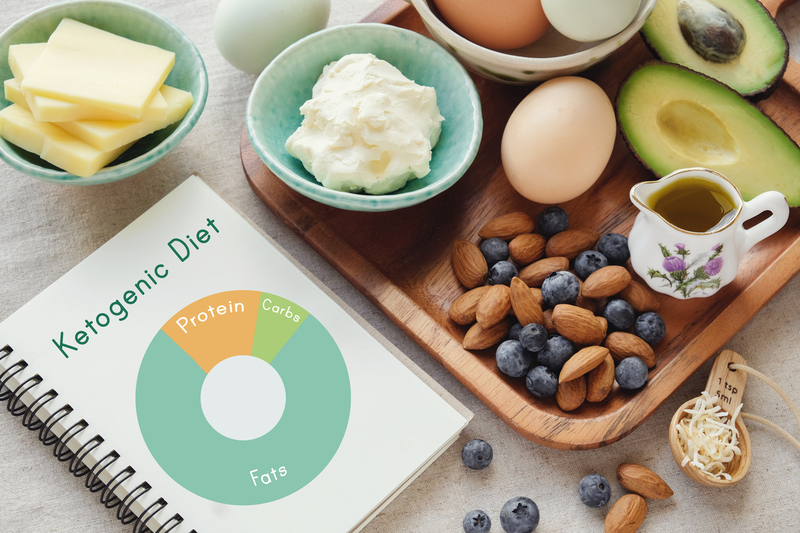 How would you like to lose weight, gain energy, and get in the best shape of your life… just by eating MORE Fat? I know that might sound a little… “nuts” — but it’s true! PLOP! A coconut falls right out of the tree and onto your blanket like a little gift from heaven. 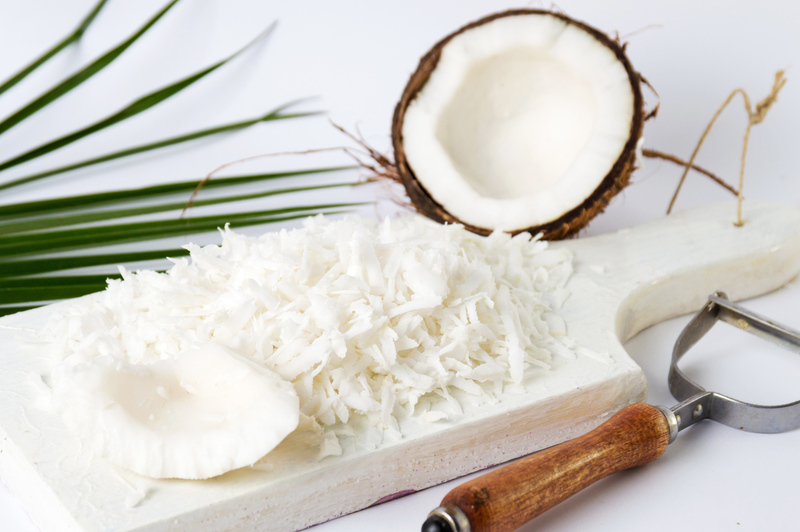 Little did you know that the humble coconut is actually one of the most incredible super-foods on the planet. It’s been used for centuries as a food source, for the coconut meat and the water, but it also contains something else. Coconuts are the best source on the planet for the healthiest type of fat you can put into your body! You’re About to Discover the Very Best Fat for Your Health! If you’re on this page you may already know what I’m about to reveal. There’s a type of fat that has a host of health benefits unrivaled on the planet. 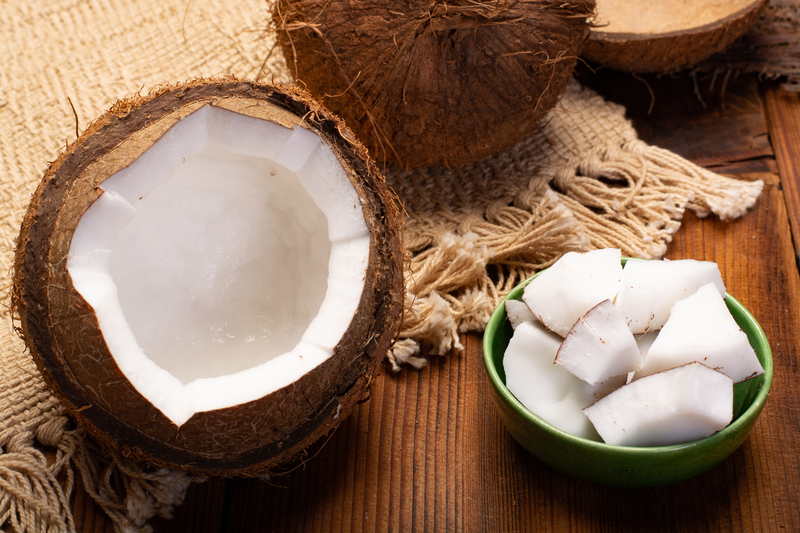 They’re called MCT’s (medium chain triglycerides) and… coconuts are the best source of MCT’s anywhere on earth! Add FAT to Get Healthy? If you’re trying to get healthy, lose weight and get in the best physical and mental shape of your life, MCT oil can make a huge difference in your success. Bill Stevens, CFO of Simply GOODFATS, has struggled with his weight all his life. Recent health concerns caused him to look for a new way of life. By incorporating MCTs into his everyday routine he lost 68 pounds in six months and got off all his medications. Sarah Munis started gaining weight in her early 30’s. She incorporated some exercise and 1 tablespoon of MCT oil into her coffee every morning and lost 132 pounds. Al Yesiller was diagnosed with type 2 diabetes and sleep apnea, among other health concerns. He adopted a high fat diet including MCT oil and not only lost the excess weight but cured his diabetes and sleep apnea. Western culture has a terrible relationship with fat, and it’s no wonder. Since the introduction of The Food Pyramid and other “nutritional guidelines” the government and food companies alike have been pulling the wool over our eyes about fat. They’d like us to think that all fat is bad, and that by eliminating it we’ll get thinner and healthier. Except… that’s not how it works. 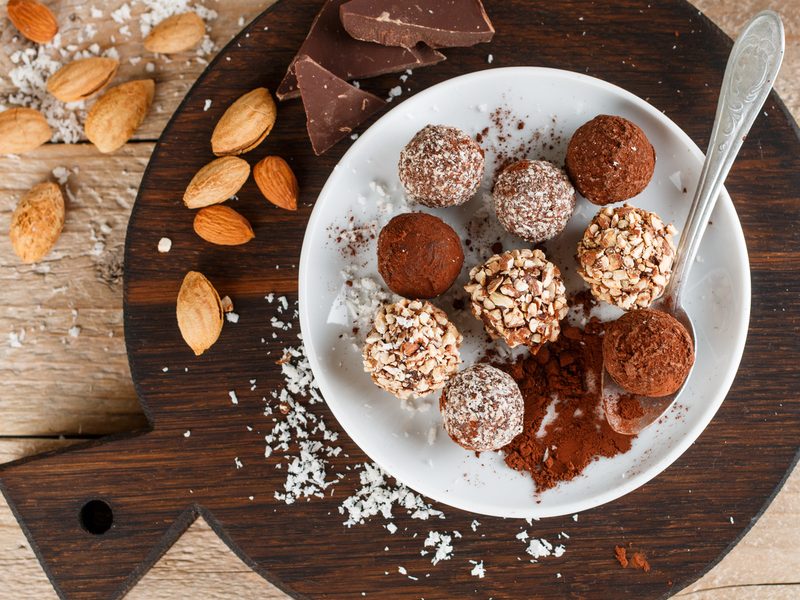 Our bodies actually need MORE fat than you think, especially GOOD fat like the fat found in avocados, nuts and… coconuts. If you’re considering or already eating for ketosis and autophagy, adding in a premium source of MCT oil into your diet can supercharge your results. Some of the healthiest cultures in the world have a much higher fat content while enjoying far lower rates of cardiovascular disease, diabetes, cancer and more. Our over-processed American food supply is filled with “fake fats” and oils disguised as fat, and that’s a HUGE part of the problem. In other cultures, they embrace good, non-processed fats, but in our country not so much. And it’s skyrocketed our rate of obesity and disease. But the solution is so much easier than we want to allow ourselves to believe. Modifying our diet, getting rid of processed foods and introducing the right kind of nutrition is the key to our weight, our health and ultimately our longevity. And MCT oil is a great way to get the real power of FAT working for you. Let’s take a look at how powerful and important MCT oil actually is to your body — it’s a long list. All of them are found in regular coconut oil, but MCT is slightly refined, while coconut oil is filled with about 62% MCT’s — but MCT oil is 100% MCT and contains the three most potent MCT’s. One benefit of MCT’s is that they’re converted into energy and used by your body FAST. In fact, MCT’s are the BEST “good fat” out there when it comes to packing an energy punch! They’re also responsible for creating ketones, and as you might know our body processes ketones much more quickly and efficiently than we process glucose. 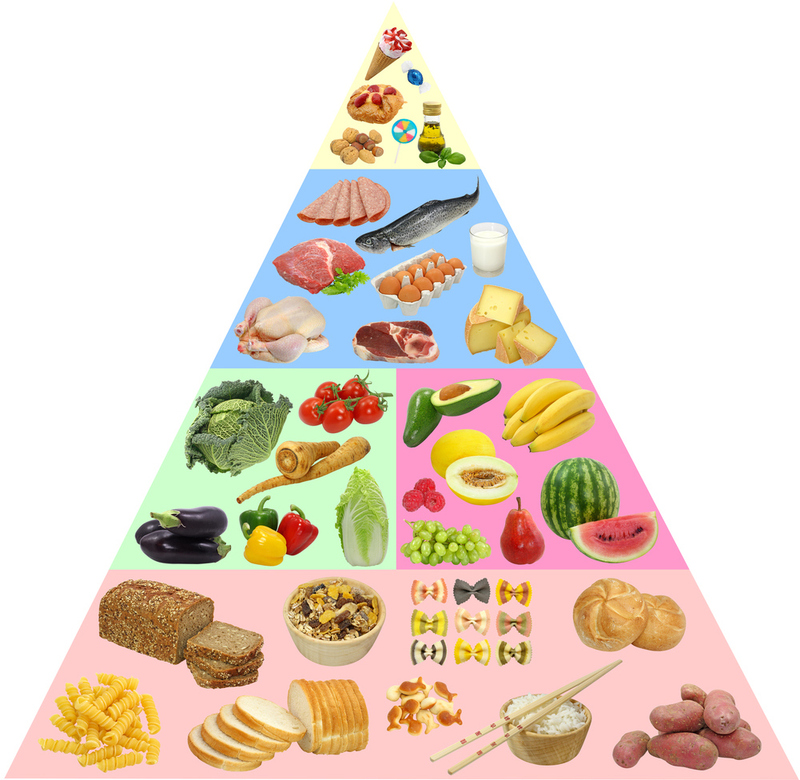 And getting your body into a regular state of ketosis has an additional wealth of benefits. MCT oil also helps get you into ketosis and keep you there due to its rapid absorption and metabolism into your system. This rapid absorption also makes them far less likely to be stored in your body as bodyfat and MCT’s also have a thermogenic effect which gives your metabolism a nice boost! So how can YOU get all the benefits of MCT oil into your diet? 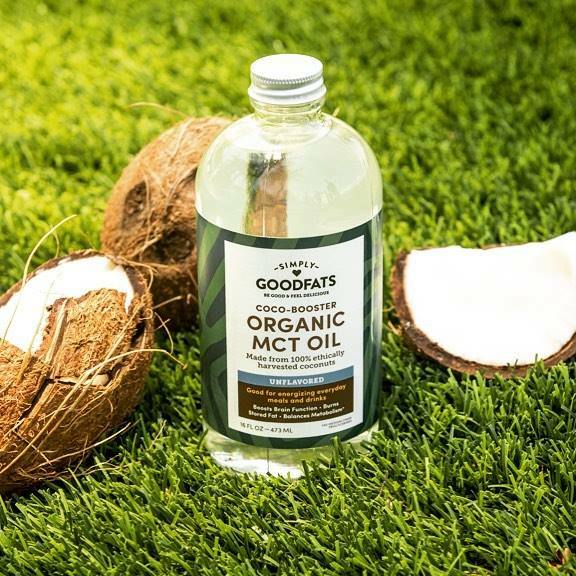 Introducing — Simply GOODFATS Coco Booster Organic MCT Oil! Our Organic MCT Oil is the Purest MCT Oil on the Planet! Add More Fat to Burn Fat! One key area that MCT’s are proven to help is with weight loss. In fact, the Journal of Nutrition published a study that showed the difference between people consuming LCT’s (long chain triglycerides) and MCT’s — and the results were pretty amazing. The only difference in the two groups who participated was the type of fat they were eating, every other variable in their nutrition was kept the same. The study lasted 12 full weeks and the participants who took the MCT oil, as their source of fat, lost an average of 8.5 pounds more in fat and in weight than the participants who consumed the LCT’s. It’s powerful stuff. 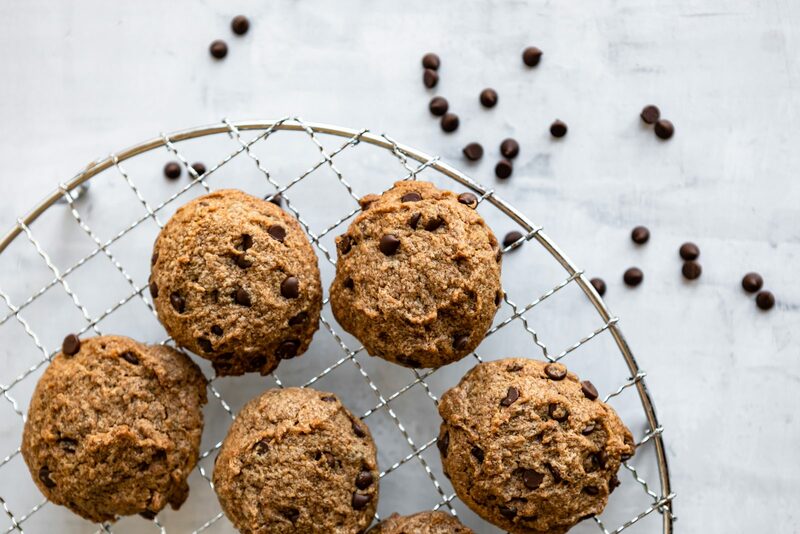 MCTs from conventionally grown and processed coconuts are extracted using chemicals like hexane, and then fractionated with damaging, prolonged high-temp heat. Ours come from organic coconuts that are ripe, sweet and perfect, cold-pressed gently from the flesh and purified using our patent-pending "spark of life" enzymes found in nature. Then we bottle it in glass bottles to maintain the purity and freshness! We’re pulling out all the stops when it comes to making sure you’re getting the very BEST nature has to offer! All You Have to do Now is Click the Button Below! If you’re ready to dramatically increase your energy, lose weight quickly, revitalize your mental focus and clarity, and optimize your overall health for the long term, Simply GOODFATS Organic MCT Oil is one of the best possible choices to get the power of MCT’s working for you. Click the button below and see exactly how you can get your very own supply of Simply GOODFATS Organic MCT Oil right now during this special offer!